One of the great revolutions in handgun manufacture is the polymer frame, striker-fired revolution. Glock led the way and still dominates the market today. Arguably, Glock remains first with the most. I should note that I am not the greatest Glock fan, but I certainly am not a Glock basher. The Glock is, in my opinion, the baseline gun for personal defense and a great choice for many shooters. The Glock is as reliable as a handgun may be, easy enough to use well, and chambers popular cartridges. If you spend less money than the Glock, then you should look hard at the pistol in question and determine what corners may have been cut. If you pay more than the affordable price of the Glock, you should be certain of the advantage. If you choose a more expensive handgun with a different trigger action or manual safety, be certain you are willing to master the handgun. When you take a hard look at the alternatives, the Glock looks good. One of the new introductions is the Glock 48 9mm. I do not form an opinion of any handgun until I have handled the piece and fired it for myself. As an example, I was interested to see the introduction of the Glock 19X, which some felt was not a good idea. I liked the 19X, but I find the Glock 45 9mm a better fit for my preferences. When you fire the piece and work it out on the range, the differences in handguns become more apparent. For some it may be the reliable and fast handling Glock 19, others may prefer the longer Glock 17. All are good handguns. 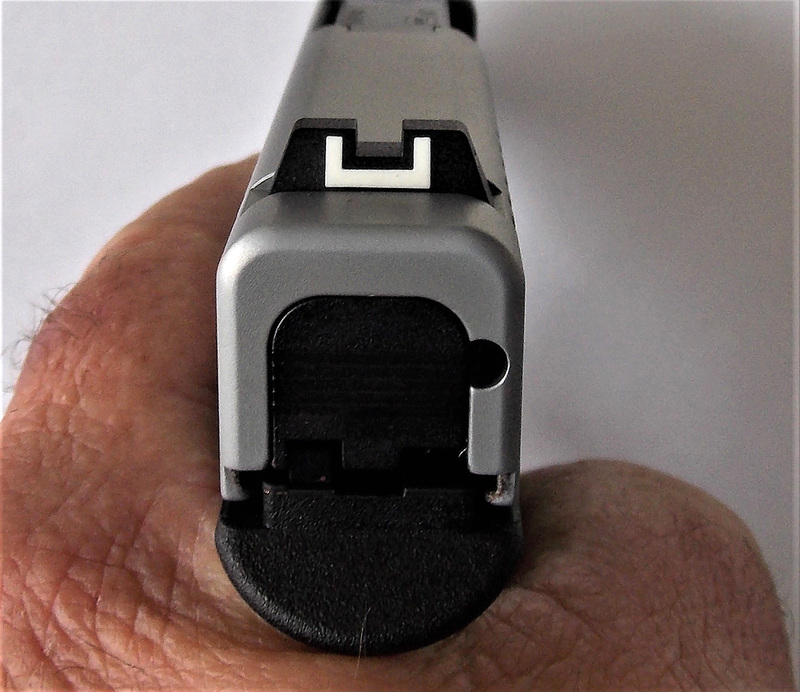 When testing the Glock 48, I expected certain things regarding reliability, trigger action, and accuracy (as I would from any Glock), but other than that I kept an open mind. I do not have to be asked twice to go to the range. Some of you probably shoot better than I do because you have a handgun that you stick to and have learned to shoot it to the best of your ability. That is as it should be. At times, a particular handgun is worth moving up to, or in some ways moving down to if it is a compact version of a popular handgun. 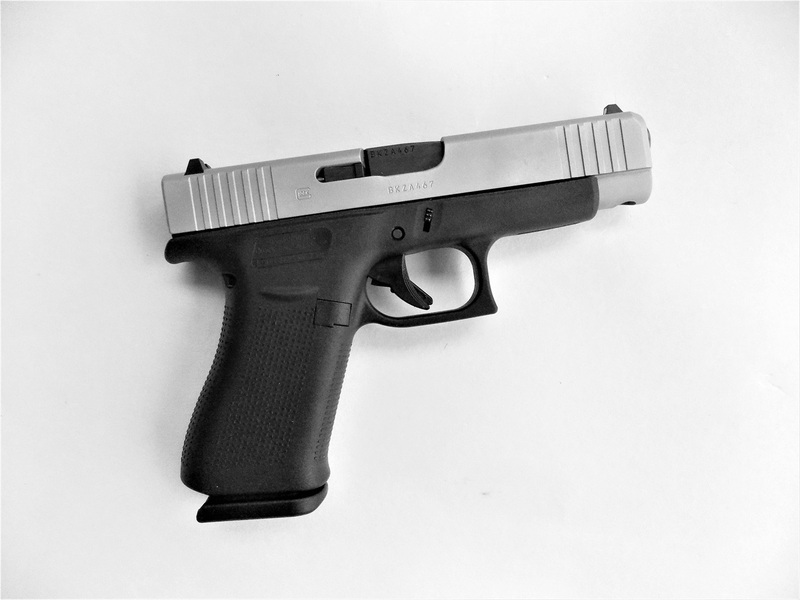 The Glock 48 is perhaps two ounces lighter than the Glock 19 9mm and otherwise similar in dimension—save for the thinner grip frame and slide. 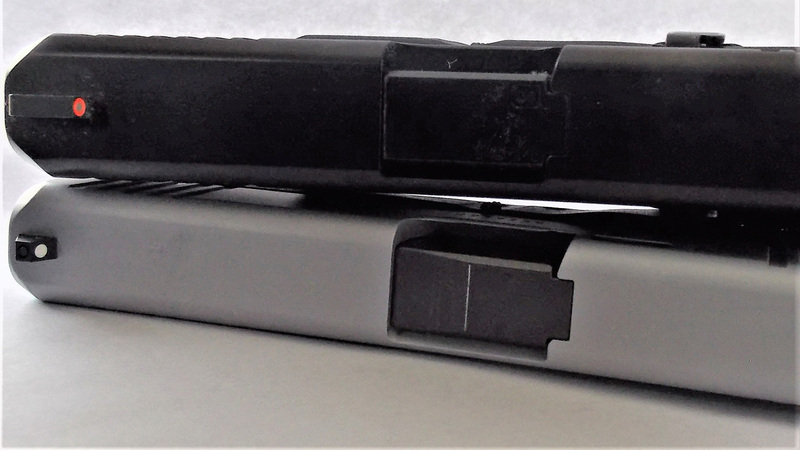 The Glock 48 is thinner than the single-stack magazine Glock 19. The pistol appears to have a stainless slide. The actual material is silver nPVD coating. The two-tone finish allows the Glock 48 to stand out in the showcase among the all black guns. 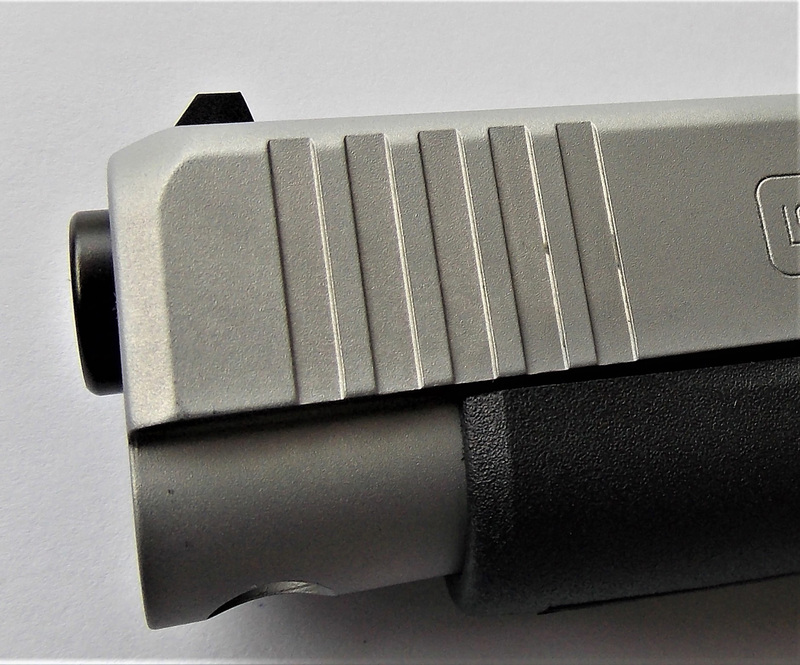 The sights are the standard plastic Glock sight with white outline. These sights work well for personal defense shooting at ranges of 5 to 15 yards and are useful for those that practice at longer range. The grip has an excellent feel to it. My hands are smaller than average, but I have never had a problem handling and controlling the Glock 17, 19, 22, 23, and similar frames. (The Glock 21 is too much of a stretch.) That said, I do feel more in control with the Glock 48. The grip frame is nicely pebbled and offers both abrasion and adhesion when firing. These are not Generation 5 guns with ambidextrous controls and the other Generation 5 improvements, but rather they are straightforward modifications on the Generation 4-type pistol. 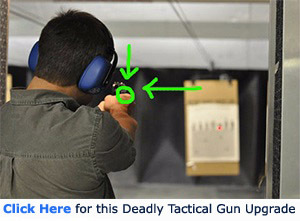 The trigger action is standard Glock Safe Action. My Glock 48 breaks at 5.7 pounds using a Lyman Digital trigger Gauge. 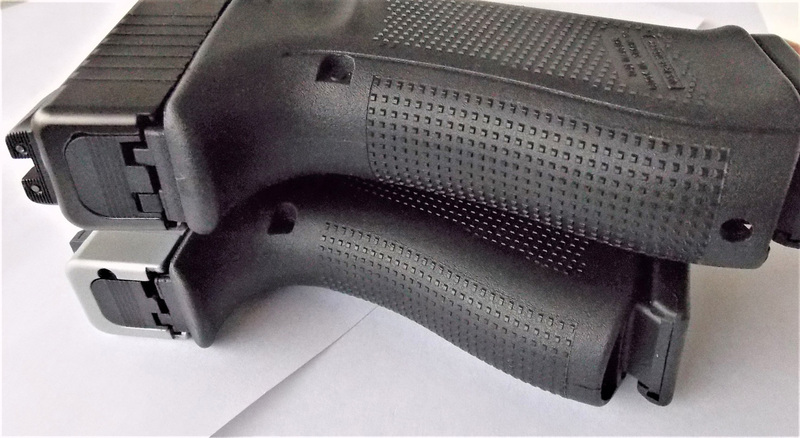 The Glock 48 slide is considerably thinner than the Glock 19. The Glock 48 balances well and offers a good hand fit. The pistol features forward cocking serrations. The slide features a lightening cut under the front of the slide. The barrel features a nicely countersunk barrel crown. The interested shooter will find many good features on the Glock 48. The slim line grip holds a relatively thin 10-round magazine. The question was how does it handle in combat drills and when firing for accuracy. The pistol was lightly lubricated prior to firing and taken to the firing range with a likely assortment of ammunition. On hand, I had Federal American Eagle 124-grain FMJ and Federal 124-grain Syntech for the majority of firing. I also had Federal 124-grain HST, Speer 115-grain Gold Dot, Speer 124-grain Gold Dot +P Short Barrel, Speer 147-grain Gold Dot, and Federal 135-grain Hydra-Shok. This mix of ammunition included ball ammunition and both standard pressure and +P 9mm loads as well as a heavy weight bullet. This should give an idea of how the piece handles all types of ammunition. The Glock 48 proved to be fast from the holster and fast to a first shot hit. I burned up 100 rounds each of American Eagle and Syntech loads firing in realistic personal defense drills. 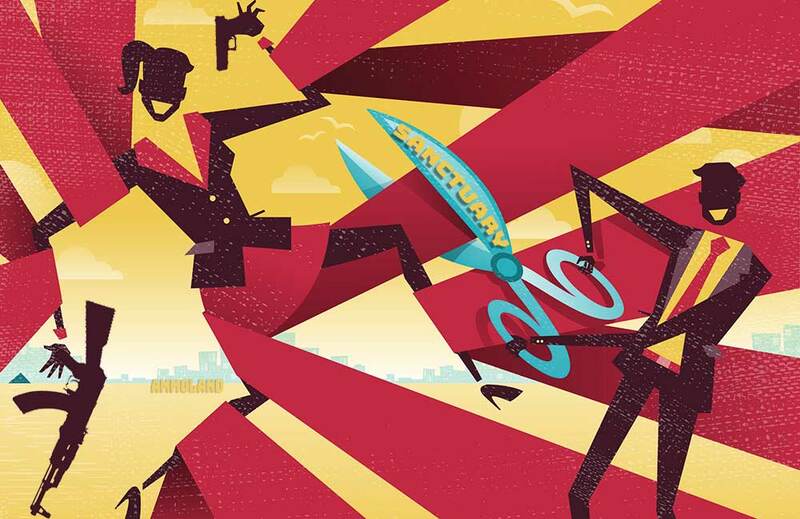 The Glock is fast, very fast, and that means a lot in personal defense. There were no failures to feed, chamber, fire, or eject. Control is little, if any different, from the Glock 19 9mm. I would rate the pistol a bit easier to use well than the Glock 43, since the heavier slide dampens recoil and the longer grip also helps spread recoil about the palm. Moving to personal defense loads, I found much of the same. Load selection is important. While the 9mm offers good wound potential for the bore diameter, careful testing and research should be behind your choice. I prefer a loading with a good balance of expansion and penetration. I fired at least a magazine of each JHP load—two magazines with some of the loads. The pistol is well regulated for the six o’clock hold and 124-grain loads. The 147-grain load also strikes to the point of aim. Lighter loads may be used with the dead on the target hold. At 10 and 15 yards, it wasn’t difficult to empty a magazine into the X ring. Recoil is greater with 9mm personal defense loads, but the pistol remains controllable and overall pleasant to fire. 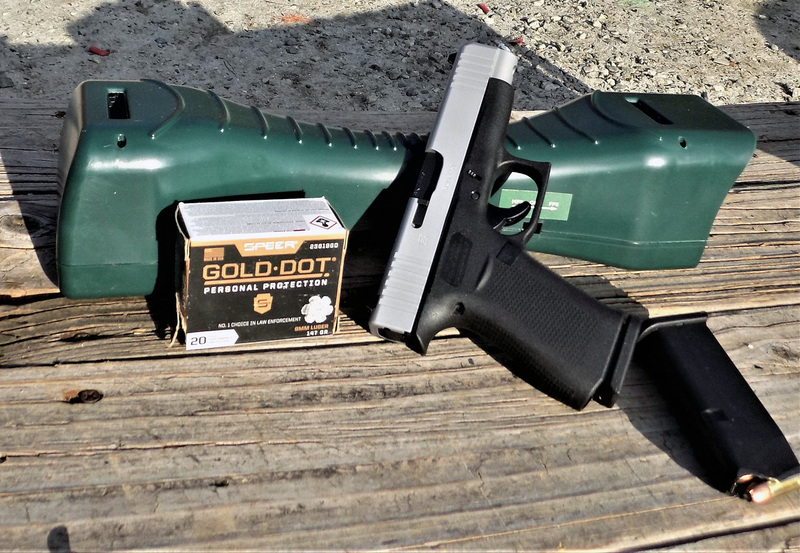 The Speer 124-grain Gold Dot +P is a short barrel load with a projectile designed to open at the lower velocities exhibited in short barrel personal defense handguns. It has performed well as far as expansion goes and is a highly recommended personal defense combination. I particularly like the 135-grain Hydra-Shok, but to each his own. 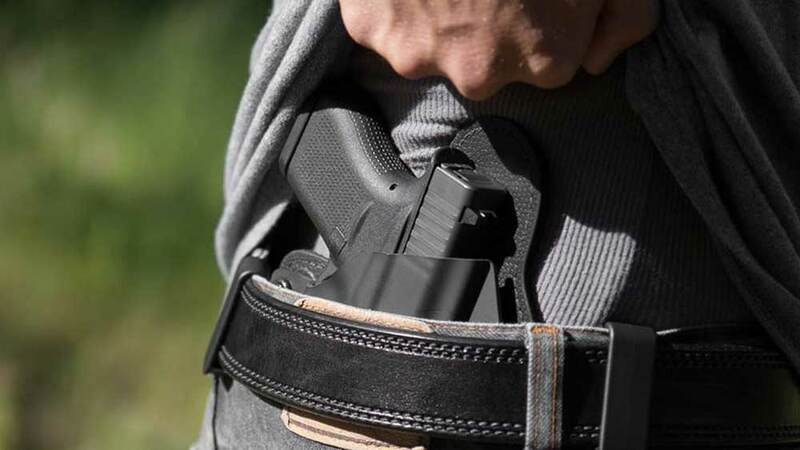 The Glock 48 will exhibit the same velocity as the Glock 19, Glock 19X, and Glock 45, but it feels like a smaller handgun in the hand, is easier to conceal, and yet recoil is manageable. The pistol fired over 300 cartridges in the first range outing without complaint or sore wrists, spaced over a little more than 1.5 hours. The standard Glock rear sights work well for fast shooting. Some may find the thinner grip makes for a heavier push in the palm than the Glock 19. In my opinion, the lighter Glock 43 9mm is a sweet shooting handgun for its size, and the Glock 48 handles a bit easier. The longer grip frame allows a faster grip acquisition. I also fired the piece from a standing, braced barricade for maximum accuracy at 15 yards. I fired the American Eagle 124-grain FMJ and Speer 147-grain Gold Dot in this drill. I fired several five-shot groups, firing quickly but regaining the sight picture after each shot. Firing a five-shot, three-inch group wasn’t difficult with some five-shot groups falling into two inches. The pistol is as inherently accurate as any Glock 9mm pistol. Where does the Glock 48 stand in the scheme of things? The Glock 17 is a holster pistol that a few dedicated shooters wear concealed. The Glock 19 is easier to conceal—and not a bad service and duty gun. The Glock 48 is a superior, concealed carry handgun. The beveled front of the slide is a good feature for concealed carry. I think many shooters may find the Glock 19 a stretch for their hand size. I do not, but the Glock 48 may feel better for some shooters. Yet, you do not give up much in capacity the pistol is a 10 shooter. You do give up the ability to mount a light rail, so consider how important this is to you. You do not need grip inserts as the small grips fits most hands well. The Glock 48 fills a similar niche to that once filled by the SIG P225. Although the SIG P228 holds more rounds, many shooters preferred the slim line P225 for hand fit and also felt that it was faster from concealed carry. The Glock 48 is fast, very fast, and offers a good chance at a rapid first shot hit. The extra two ounces of the Glock 19’s weight may make for better recoil control, but you cannot prove that easily. I find the Glock 48 a very neat, attractive, and useful handgun. It may be the best Glock for concealed carry yet manufactured. Who doesn’t love, or at least have a healthy respect for, Glocks? That being said, all Glocks may not be equally appreciated by shooters. What’s your opinion of the Glock 48?